While we're all entirely focused on the latest and greatest Windows Phone hardware from manufacturers, we can't simply discard previous generation smartphones. The Lumia 800 has had its price tag slashed multiple times, and has been on special offer a fair few rounds. It's not shy to being made more attractive at a lower fee and Orange UK has taken it a step further by offering the Lumia 800 on Pay As You Go (PAYG) plans for just £159. It's an absolute bargain if you're after a Windows Phone but don't care for the latest Apollo upgrade that's just around the corner - the Lumia 800 will not be receiving Apollo, but the handset will be hit with the Windows Phone 7.8 refresh that's on the horizon. Nokia has also announced they will be supporting the first Lumia family of Windows Phones with further firmware upgrades as well as service / app updates. 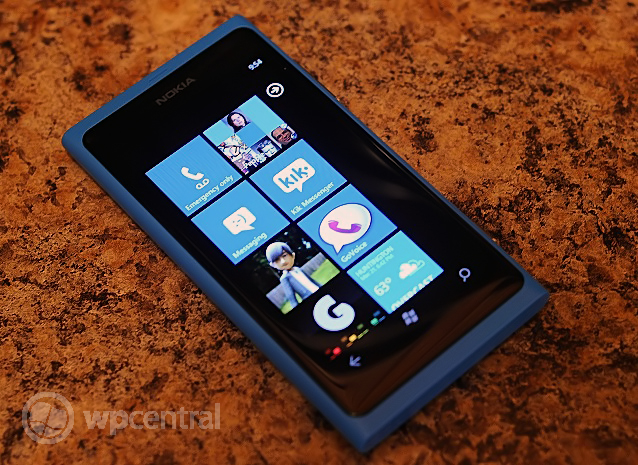 While the Lumia 800 is running Windows Phone 7.5, Nokia's array of OEM apps and services are available at hand. Nokia Drive and Nokia Drive are the two highlights of the bundle, with the likes of Nokia Music to add the cherry on top of the ice-cream sundae. We reviewed the Lumia 800 when it was released in the UK back in November 2011 and the handset left us impressed with its curved display and polycarbonate body. Orange is offering the Lumia 800 for £159 with free delivery. The Windows Phone can be attached to one of many PAYG plans from the UK carrier - Monkey, Dolphin, Canary, Racoon, and Camel plans are available, though we can see Dolphin being preferred when purchasing due to the bundled data allowances when topping up. Be sure to head on over to the Orange online store to take advantage of this deal. Source: Orange UK; thanks, oldgaius, for the heads up!